It has rained so much, over two inches since yesterday, I had to make us something cheerful. I think this is my favorite pie ever. I also use a no-roll pie crust that you make right in the pan. It's a great crust for a fresh fruit pie, it stays crumbly but crispy. 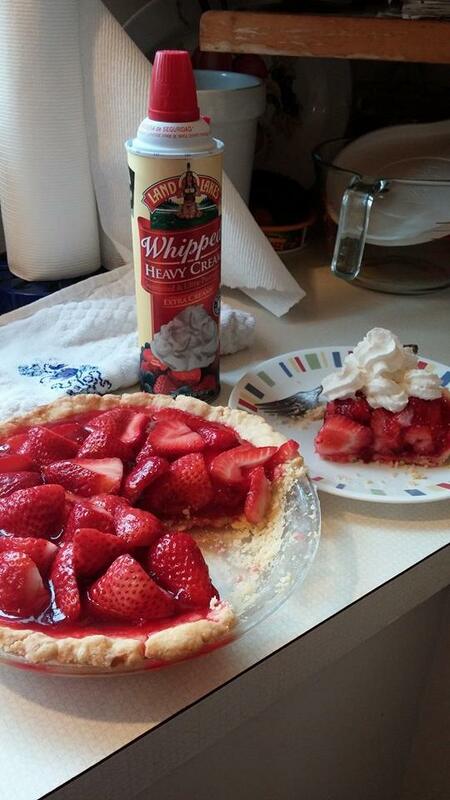 The pie recipe is Taste of Home Strawberry Pie. It calls for Strawberry Jello. I also use a corn starch called "Clear-Jell". This is a recipe my mom used many years ago.